During the course of the day I encounter lots of challenges, some of which take minutes to solve and others that take much longer. My goal for this section is to keep track of these challenges and their solutions. I will turn the longer ones into articles, while the shorter ones will stay as blog entries. You can expect topics to range from very specific programming challenges to broader topics like life. Below is a list of the recent blog entries. You can also browse the blog by using the tags on the right side, or if you know what you are looking for then you can use the search box at the top right. 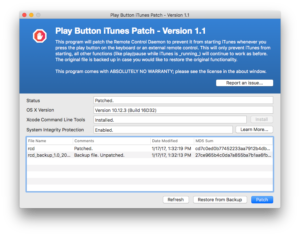 I have had a backlog of changes that I wanted to make to the iTunes patch. 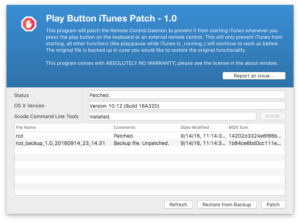 I finally took some time this weekend to work on those and release version 1.1. 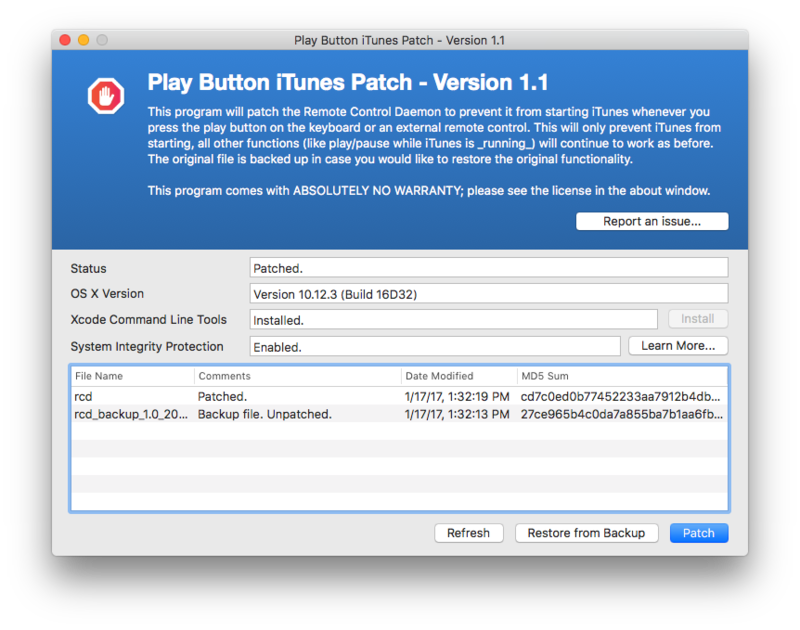 The major improvement in this version is the check for System Integrity Protection. Take a look at this commit for more details about this round of changes. You can download the latest version on the project page. The Artist, not the Technician! The title of this role has bugged me ever since I have read this book, but it wasn’t enough for me to go searching. Interestingly, on January 16th, I finally ran into someone that had the same issue! I had a need for downloading all of my facebook photos. One way you can do this is by downloading a full copy of your facebook data. Unfortunately, this only includes the low-resolution version of your photos. There are some other options online, but most looked pretty sketchy. I knew about facebook’s Graph API and played around with it a little before. So, I decided to use this as an opportunity to work with that a little more and play around with the go language. Starting a business? Make sure to read this book! I have worked in numerous job functions ranging from front-end programming to high-level business planning and execution, and lead two businesses so far. After recently reading The E-Myth Revisited I wish someone would have suggested it to me some time ago because it provides a great perspective, especially for folks like myself who are coming from a very technical background. SSL has been the flashy new thing lately so after realizing that https://thebitguru.com was pointing to my old Django site I decided that it was time for me to fix that and migrate all traffic to https. The first question, as you can imagine, was where to get the SSL cert. I am excited about the Internet of Things (IoT) phenomenon that we have been going through over the past few years. 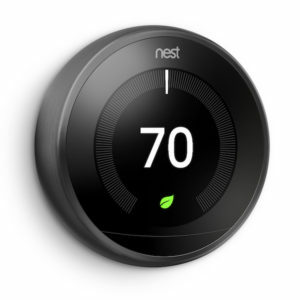 Some old timers might even bring up X10, from who knows how long ago, but for my generation, I feel like the Nest thermostat was really the intro of IoT to the mainstream. I see the value of IoT devices and I have a few IoT devices at home myself. This list has only grown over time. There are two major concerns with IoT devices that are always in the back of my mind: 1) Security, and 2) Privacy. I will focus on Security for this post. Apple will be releasing macOS Sierra this coming Tuesday, September 20th. 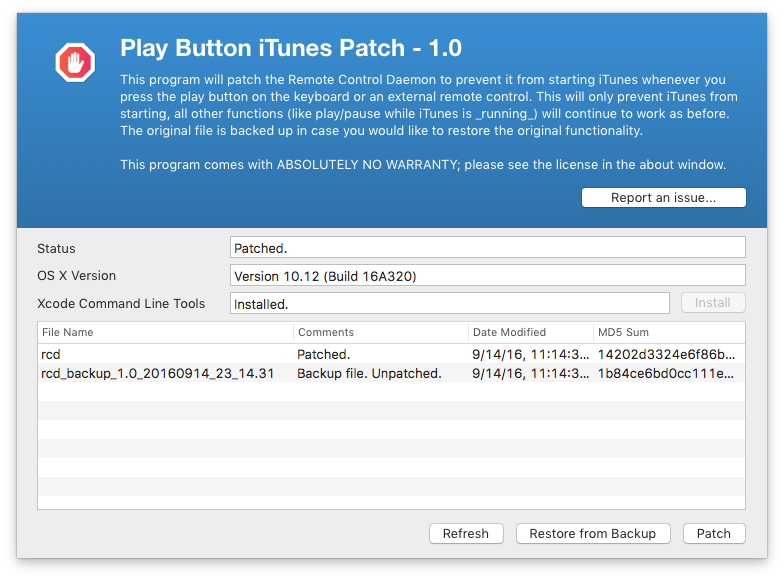 This also means that the rcd file will be replaced with the stock version so you will have to patch it again. I upgraded one of my computers and was able to verify that the patch still works as expected. My migration to WordPress is complete! This post briefly talks about the history of the site and announces the go-live of the WordPress version. A friend of mine, Steve, puts the durability of his cellphone screens to the test. It doesn’t take him very long to break the screen and he has consistently broken screens of pretty much every phone that he has bought. So, when I saw the Droid Turbo 2 come out with ShatterShield I suggested that he should try it out. He decided to try it out. To test out Motorola’s claim of the durability of the screen, he has intentionally thrown it a few times in front of me. The first time that he threw it I gasped, and, surprisingly, it survived the drop. It has now been almost eight months and the screen is still in one piece and working! During this time he also bought a Galaxy S7 (work vs. personal phones) and broke its screen fairly quickly 🙂 Suffice it to say ShatterShield works. I wasn’t impressed by the specs of the Droid Turbo 2 so I was hoping that Motorola would release another phone with better specs and ShatterSheild. Even better make it water proof. 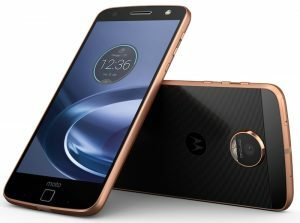 Well, two weeks ago Motorola released the Moto Z Force that has most of what I was looking for. ShatterShield, latest processor, 5.5” AMOLED screen, and large battery (3,500 mAh). Unfortunately, the battery isn’t as big as I had hoped, especially when the Galaxy S7 has a 3,600 mAh battery for the same screen size. It’s also not water resistant like the S7, but the Moto Z has ShatterShield, which I feel is way more important than water resistance. The other highlighted feature of the Moto Z is the ability to add on the Moto Mods. Honestly, LG came out with their “Friend Devices” for the G5, but it’s hard to see these one-off, vendor-specific add-on modules getting much adoption to really excited about them. It needs to be a standard that multiple vendors support. I am ready to pull the trigger and get the Moto Z, but Motorola needs to hurry up. Otherwise, we will start hearing rumors about the next generation of Nexus phones and I might just end up waiting for those to come out!